This property is for the buyer looking for privacy, but neighbors still visible, looking for property with no city taxes or HOA's , lookingfor a home with great flow and a finished man cave, looking for easy access to the beach within 30 minutes, but not the beach noise. Call listing agent now to set your appointment to see this brick rancher featuring 3 bedrooms, 2 baths, large screened in back porch! Just in case you love trains as much as I do, you will be delighted to know the train travels by the house during the week at random times. 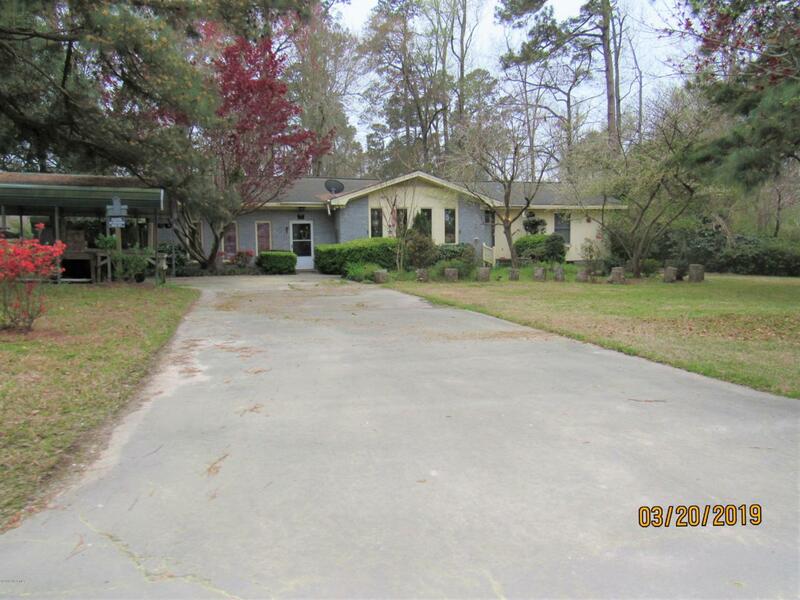 Listing provided courtesy of Mary Ann Allgood of J. Ray Realty, Llc.